A deeply nourishing tonic for the health of the scalp and hair; massage into scalp before washing hair, or apply and leave on overnight. Organic ingredients to revive: seabuckthorn berry, mustard seed oil, jojoba, rosemary, peppermint, eucalyptus, geranium and pine. Seabuckthorn berry, mustard seed oil, jojoba, rosemary, peppermint, eucalyptus, geranium and pine. 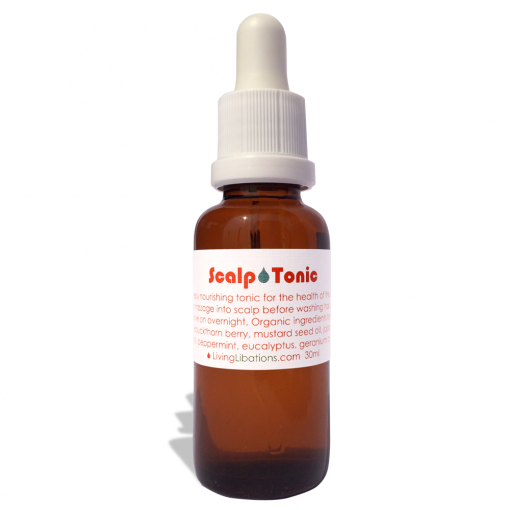 Great serum for soothing my dry itchy scalp. I always leave it on overnight to get the maximum benefits.